In the early twentieth century, a teenage Greek girl in Constantinople loses both her parents and, together with her younger sister, gets thrown into a massive population exchange between Greece and Turkey. She ends up in a refugee camp in northern Greece. With determination she creates a life in her new country, becoming a teacher in a small mountain town near Greece’s northwestern borders with Albania and Yugoslavia. She meets and marries a young lawyer from a historic and tragic Macedonian family. Her story extends through a century of war and peace and is peppered with likable characters, horrific events, and a love story. Among the protagonists are two strong women, a charming and indomitable man, and a smart but sickly kid. Now and again her drive, perseverance, and common sense will save the day and reward her with happiness, which nevertheless will come and go like interludes of sunshine in otherwise endlessly stormy weather. The reader will also get candid and authentic glimpses on poorly known historical conflicts such as the Balkan Wars, the world’s greatest ethnic cleansing, the occupation loan that the Nazis exacted from Greece, the Greek Civil War, the Turkish invasion of Cyprus, and the dispute over the use of the name Macedonia. 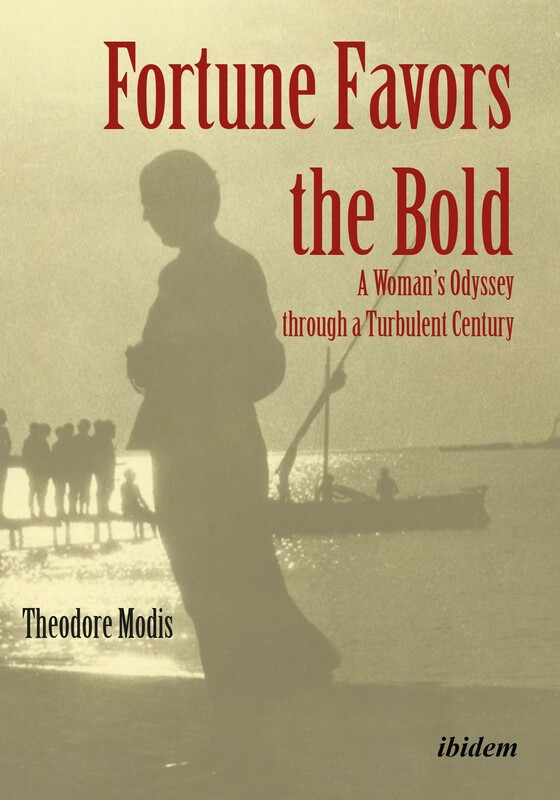 Theodore Modis was born in Florina, a small town in northwestern Greece. At the age of nineteen he won a full scholarship to study in the USA. He received a Master's degree in Electrical Engineering and a Ph.D. in Physics, both from Columbia University, New York. He carried out research in particle-physics experiments at Brookhaven National Laboratory and afterwards at CERN in Europe. Later he switched to the industry and worked at Digital Equipment Corporation as the head of a Management Science consultants group. Ten years later he founded his own consulting company, Growth Dynamics, in Geneva.